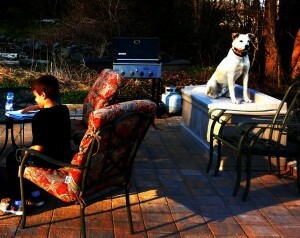 Will doing homework on the patio while Targa keepswatch (earlier in the year). I had to cut myself out of the picture - I had way too goofy of a look on my face to publish it. I finally downloaded pictures from the camera. Last week wasn’t nice enough to do homework outside. But the week before was. Corner of the workshop - reorganized. 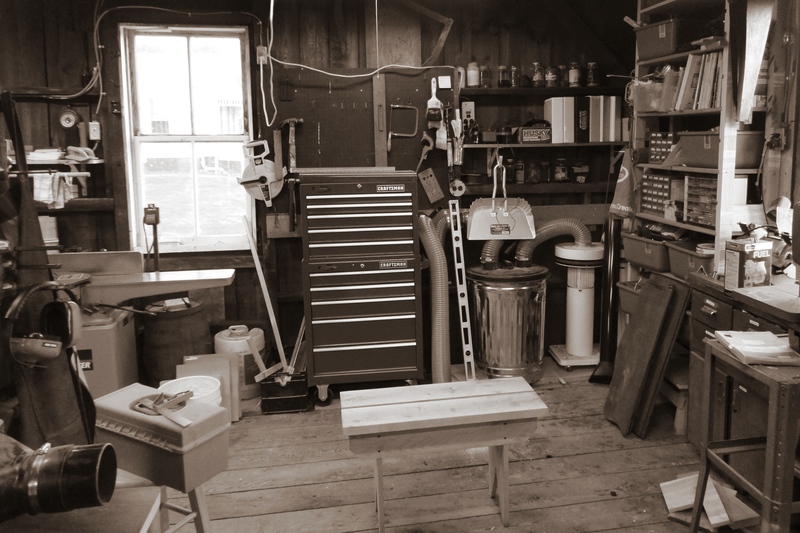 Just don't look at the rest of the shop. The raised beds. 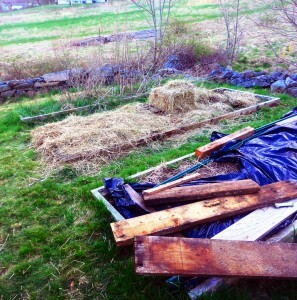 The middle bed will have the strawberries. Not 100% sure about the other two.